Life coach certification combines live-interactive coaching training, mentor coaching and supervised coaching practicum hours customized to reflect your unique personality, expertise and chosen specialty. Becoming an ICF certified life coach is a big decision for some and a no-brainer for others. Some of us feel called to the profession, but not always in those exact terms. We may have friends and family repeatedly telling us how valuable we are as a source of inspiration and strength, We may have friends and family repeatedly telling us how valuable we are as a source of inspiration and strength. Or they may tout how well we settle conflict and naturally seek the best outcome for everyone involved. Whether you realize it or not, you hold wisdom and specialized experience that provide the keys to positive change in these situations. You initiate it by naturally leading with your heart – drawing upon your own life experience, knowledge and expertise. For others, the pathway to life coach certification is more roundabout. It starts contemplative and strategic from the outset. Common examples include using it as a tool to up-level or expand your communications and management capacity within your current workplace or branch out into something new as an expert in an industry. Regardless of which category you may (or may not) fit into, life coaching certification offers the unique ability to combine a range of career choices and expertise. It often encompasses aspects of teaching, consulting, training and personal development. While many people quickly realize the personal marketing potential this offers, it also represents a major transition, elevating yet often upending both career and personal life simultaneously. It’s important for you to know that everyone approaches becoming a life coach and the life coach certification process from their own unique point of view and on their own schedule. For some, the process is quick. Others need a little more time to sort through existing roadblocks. That’s because becoming a coach is far more than just adding a few communication skills into your tool kit. Meet Rhianna. She got into coach training because she felt something felt amiss on the inside. Friends, relatives, and colleagues had sought her advice for years, always looking for stress-free pathways to new possibilities. More often than not, they were stuck. That brings us to the other aspect of life coach certification, and the one that Rhianna discovered: you. Through coach training, you develop skills that enable you to see beyond an individual’s story and uncover their true potential, inviting them into their life’s best possibilities. And I have to admit: with more than two decades under my belt in this profession, nothing beats the look on someone’s face when they discover their way forward. It’s a realization of potential that is emotional, liberating and energizing all at once. 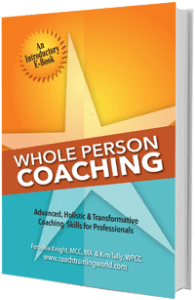 To become an International Coach Federation (ICF) certified life coach, you must meet the following requirements. So what does all this entail? The training for life coach certification provides you with the specific knowledge, skills and confidence to work with a wide variety of individuals and coaching contexts. Coach specific training hours are defined by the ICF through 11 core competencies. This requirement guarantees that the training you receive meets the global standards of the coaching profession and ensures that your new skills maximize your personal and professional potential. Your specific expertise and interests determine your individual focus. Choose from popular branches that include life purpose, identity, major life transitions, relationships, money matters, and health and wellness, to name just a few. Coach Training World also offers supplemental trainings to deepen your knowledge and area of specialization. ICF Mentor coaching brings out your best and motivates you to higher levels of self-understanding. It reveals the core role you play as a change maker in helping others with their lives. Encompassing both one-on-one and group mentoring sessions, you learn to leverage your wisdom and unique skills to catalyze sustainable change. You will already have the tools and methodology from the coach specific training. 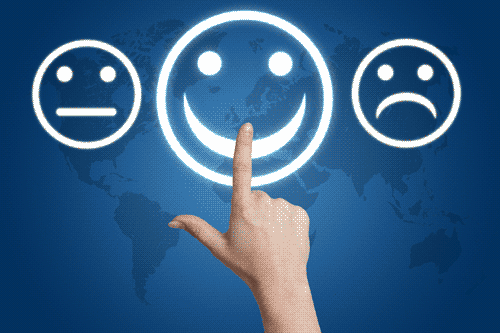 This stage allows you to filter your own experience into the process, customizing the system to provide a unique level of support to your clients. More importantly, it gives you a reliable method that can be applied to any individual or process, enabling you to produce consistent results, time and time again. Practicum supplies you with practice clients through which you’ll hone your new skills in a safe learning environment. More importantly, it teaches you how to easily attract your own clients and create a thriving practice by cultivating an authentic dialog in your interactions. More often than not, people tell me they want coach training simply to become more effective within their own lives. And that’s definitely a valid reason. Life coaching skills enable us to become masterful at creating change and facing life’s unpredictable nature – confident that no matter what happens, there is always a way forward. As you proceed through coach training, you are applying the core principles of coaching to your life, reshaping your communication skills, and often your relationships as a result. This enables you to increase your capacity for working with others. Expect to enjoy deeper, more authentic relationships in which you and your new skills are embraced and celebrated by others. For example, many of our students have been offered promotions or new jobs within their companies. A coaching certification program allows you to get radically clear on who you are and what truly matters to you. Though you’re a student through the program, you’re also a coaching client who benefits from the same tools you’ll soon be using with others. The best part is: the learning extends throughout your life, impacting every corner – explored and unexplored alike. Life is built on the story you live. And as the driver in your life, the choices you make put you on the path you live today. Choosing to become a life coach is about choosing to live your best life, being who you are at your best. And it’s a transformation that begins with you. As someone who knows that path well, I believe in you and your potential to help others. Xanthi – certainly Learning to Live at your very best is sooooo true! After years and I mean over 35 years of mentoring ,supporting and directing friends and strangers alike . I think it’s time to put a title and face on the things that I love to do. Working in ministry with the homeless and underserved communities is something I love to do and I hope to develop a non profit to address their needs . I think this certification will help move me forward. thank you for making this available . And thanks Bert for doing what you do in the world! I’m certain your gifts keep on giving for years to come!